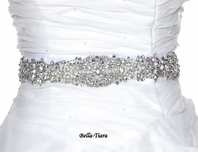 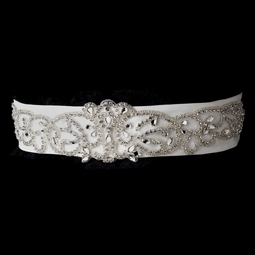 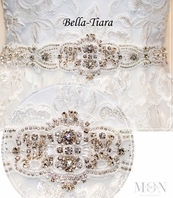 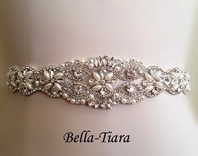 Description: An alluring bridal belt with a soft swirl design. 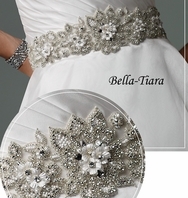 Featuring clear rhinestone with outlines of glass bugle beads embellishments. 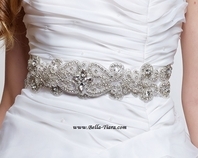 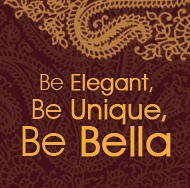 This belt is a wonderful accessory piece for any classic, modern, and vintage inspired bride that will accentuate the waistline creating a more glamorous look and sleek figure.